I started fishing when I was on holiday in Scotland when I was about 7. That was it! I was hooked from then on and pestered my dad and mum to take me fishing down the local river every weekend when we came home. I’ve now been an angler for 23 years, and for 10 years of that I’ve worked for the Environment Agency. Being an angler really does help with my job. Having good watercraft helps me target areas of the river or lake that I know are likely to hold fish which improves our catch efficiency whilst on surveys. Also fish identification and handling skills are important in my role, both of which I have developed through fishing. I studied fisheries management at Shuttleworth College for 2 years before doing work experience at the Environment Agency. Once that was complete I was offered a summer temping job in the team which I did for a couple of seasons before getting a full time job. 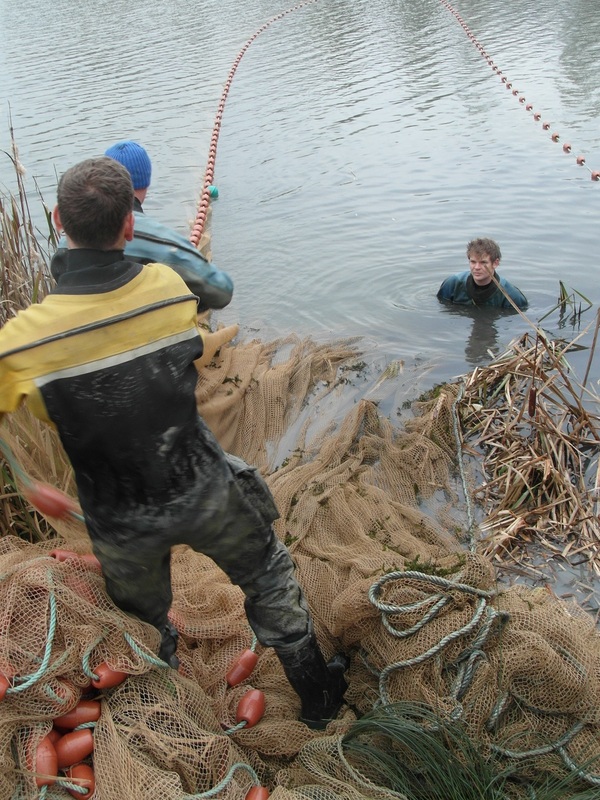 I now run the Fish Population Surveys programme with the help of my colleagues Lewis and Darren. I go fishing probably once a week, usually an overnighter at the weekend depending on how busy my local club lake is. Most of my fishing is carping but I do the odd session for roach and rudd. I love fishing with my friends! There are three of us who usually go together and it’s always a good laugh. I also like doing a bit of photography and being near to the water on sunrise/sunset always provides some great opportunities for some photos. My main dislike of angling at the moment is just how busy places get. Angling has become so popular that there simply isn’t enough water about to accommodate everyone without fishing on top of one another. My fishing hero is Terry Hearn. I absolutely loved reading his two books, and he has caught some ridiculous fish. I have been to one of his slide shows and his passion for fishing is clear to see. If I could sum up fishing in three words, I would say it is relaxing, frustrating and addictive.